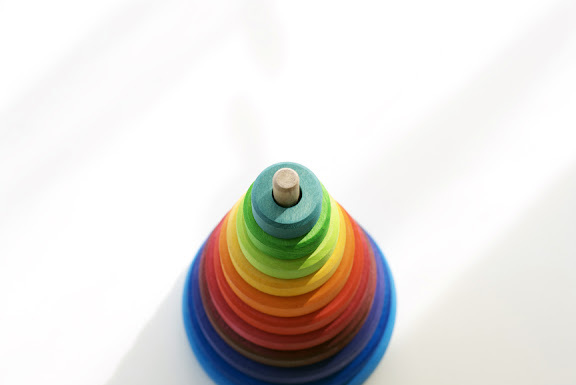 I was inspired by this beautiful wooden rainbow stacking toy to create a simple rainbow party! Nope, no buckets of crazy colored buttercream or tie-dye cupcake insides or layers of coloured cake here! Just some lovely vanilla cupcakes with vanilla buttercream, dressed to impress in every-colour-of-the-rainbow cupcake liners and fashioned with colourful flags. 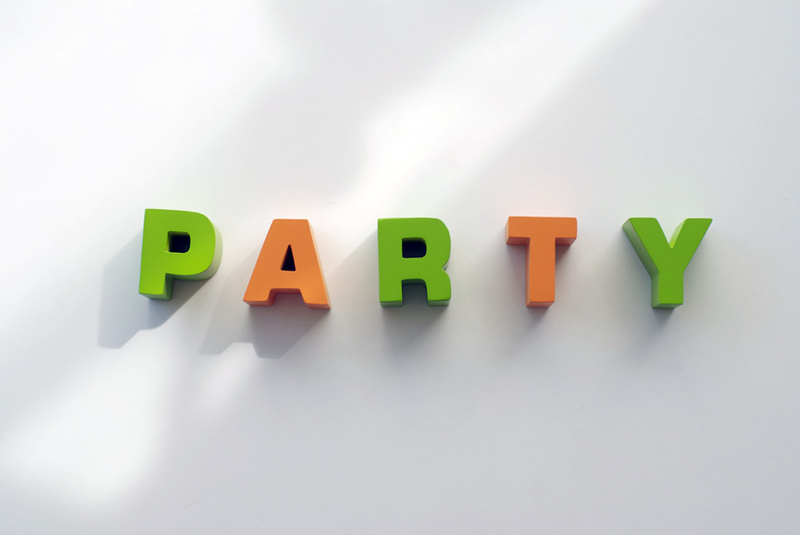 Children’s parties needn’t always be jacked to the nines! All you need is a selection (even three different colours!) 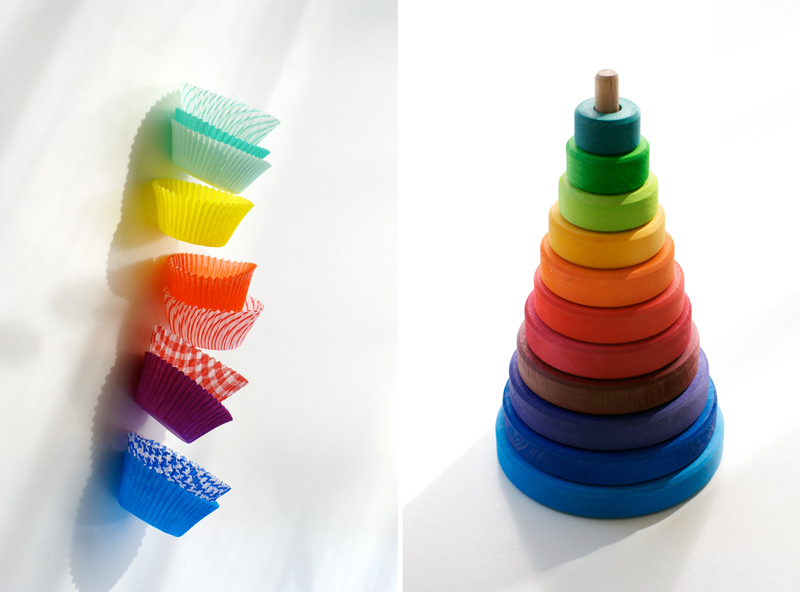 of cupcake liners, a few rolls of Japanese washi tape and the cutest inspiration: your baby’s own toys. 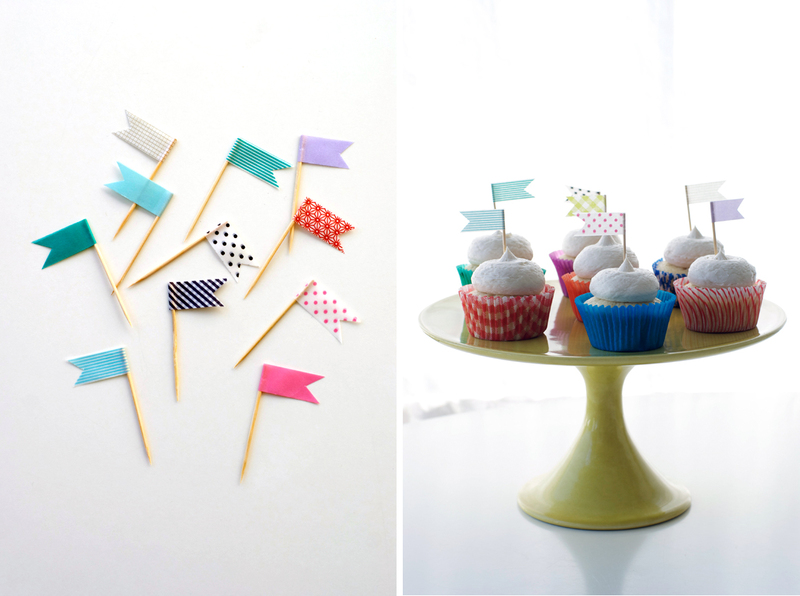 You can even use those coloured cupcake liners to make a very cute and very easy festive garland, as I wrote about here – the striped liners with the white centers work great because they look like stripey little starbursts. 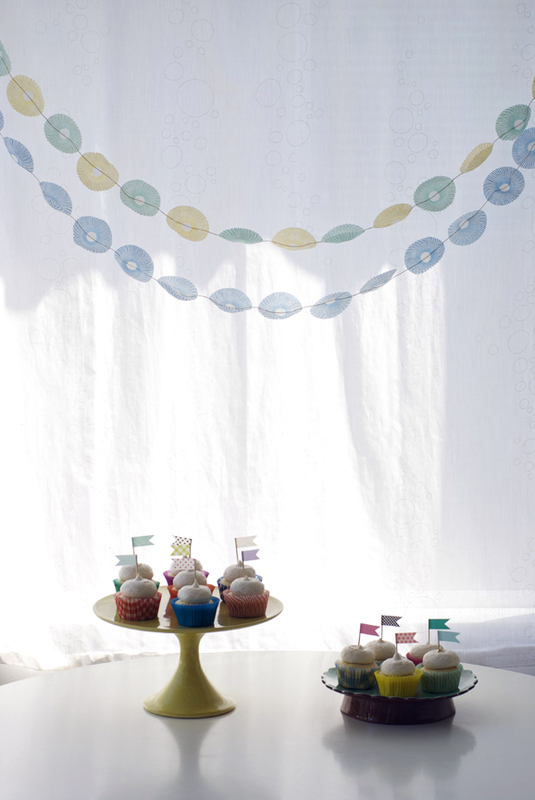 Simply open cupcake liners flat, and use clear tape to adhere them to a few feet of string! And yes… you can have a cupcake! Two, even! 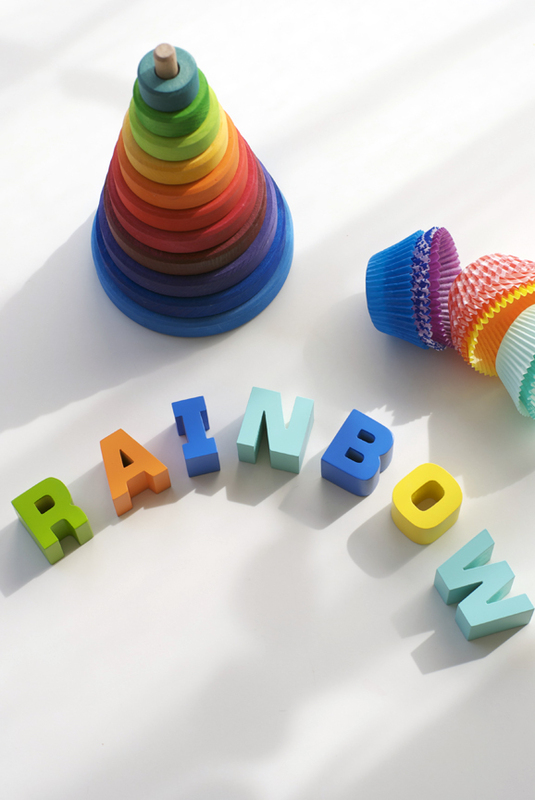 Thank you to Land of Nod for sending me the rainbow stacking toy and alphabet letters! Love the theme! 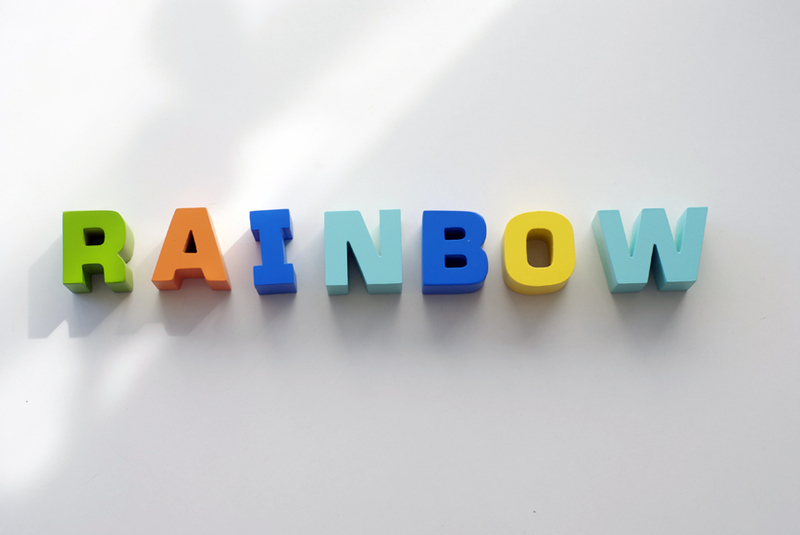 I love those letters, I may need to buy some!! very cute! awesome pics as always. these are so beautiful and colorful! 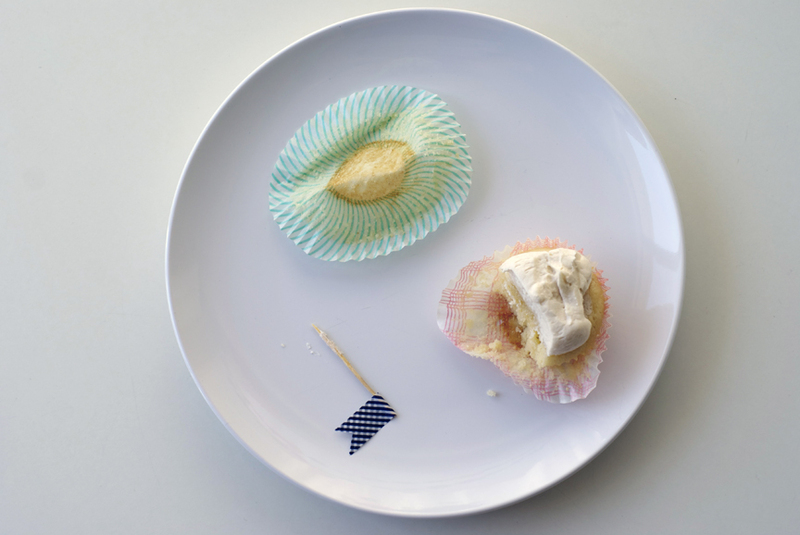 I often have problems with my cupcake liners losing their color and brightness after baking. Do you have any tips on how to prevent this? Yours look so perfect! Thanks! hi tinycake! thanks so much! depends on the cake flavour of course – chocolate cupcakes are dark so the colour doesn’t show up as well, but vanilla or lemon cupcakes and they look nice and vibrant!